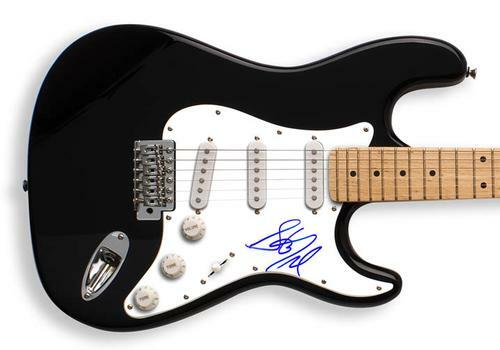 This is a brand new full size Autograph Pros strat style guitar hand signed in person by Steven Tyler of Aerosmith! Authenticity Features:-A photo taken at the time of signing for us will be included.-A Certificate Of Authenticity will be included from UACC Registered Dealer #237 which is accompanied by a hand signed lifetime guarantee of authenticity. -We document each of our in-person autograph signings and the date and location from when this was signed will be detailed. 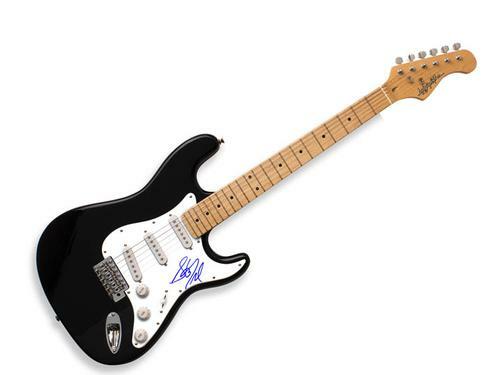 GUITAR SPECIFICS: Make/Model: Autograph Pros Strat Style Guitar -This incredible guitar is brand new, full sized, fully functional, and feature a hard maple neck, 21-fret rosewood fingerboard,vintage 6-screw tremolo system and 3 single-coil pickups. This autograph was obtained in person and comes CERTIFIED AUTHENTIC. Item will be shipped in a manner to ensure a safe arrival.